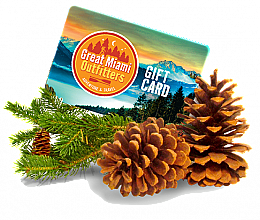 Imagine walking 1,444 miles with a backpack carrying the bare necessities of life, 26 maps, and a whole lot of grit. 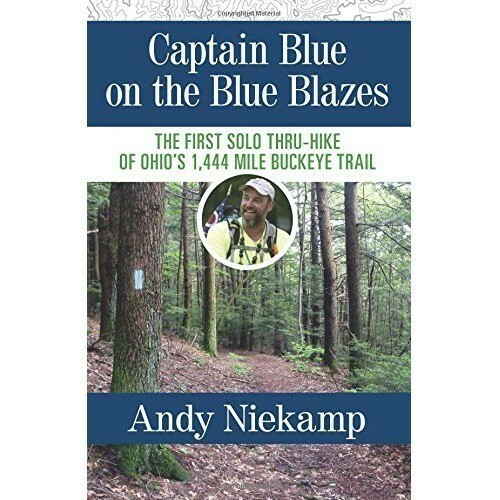 When three-time Appalachian Trail Hiker, Andy "Captain Blue" Niekamp decided to hike Ohio's Buckeye Trail, he took on the challenge of his life. 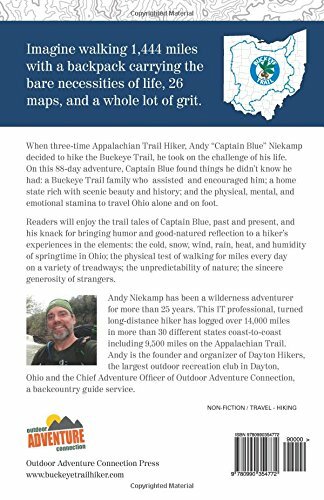 On this 88-day adventure, Captain Blue found things he didn't know he had: a Buckeye Trail family who assisted and encouraged him; a home state rich with scenic beauty and history; the physical, mental, and emotional stamina to travel Ohio alone and on foot. Readers will enjoy the trail tales of Captain Blue, past and present, and his knack for bringing humor and good-natured reflection to a hiker's experiences in the elements: the cold, snow, wind, rain, heat, and humidity of springtime in Ohio; the physical test of walking for miles every day on a variety of treadways; the unpredictability of nature; and the sincere generosity of strangers.